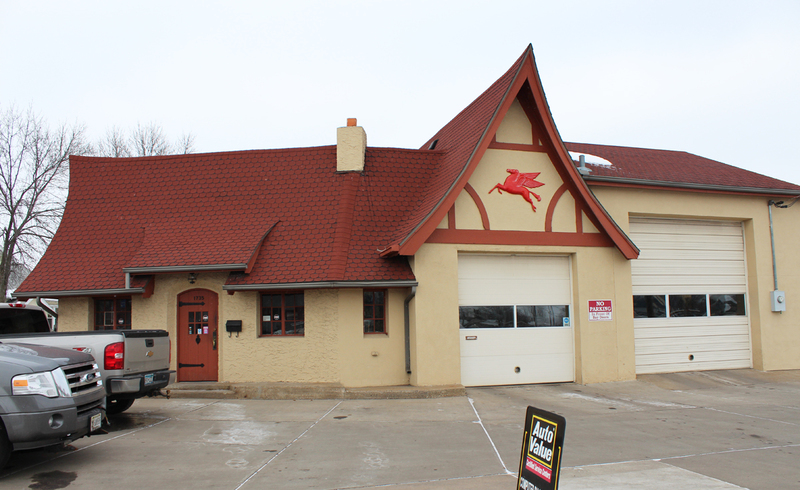 Constantly on the hunt for this building style, we found this cutie in St. Cloud–and it has roots somewhere in Mobilgas. Where did these buildings come from? Sears catalog? A roaming band of Swiss carpenters? The rooflines are really complex–if you see one, please take a photo and send me the location. I think this might be turning into a collection. Wow….that is so cool! Thanks for the link. We have a lot more to go on now—plus, we also have a cellar. Interesting!